A lightbox is one of those tools that work great on the desktop but often fail on small mobile devices. These days, finding a plugin that is responsive and that displays content right away is hard. 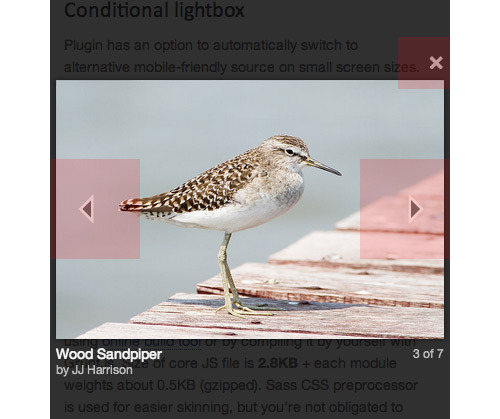 For this reason, I created Magnific Popup, an open-source lightbox plugin focused on performance. In this article, I’ll share the techniques I employed in creating this plugin, techniques that can make your lightbox much faster and easier to use, whatever the device being used. We might not be able to speed up the loading time of an image with this lightbox plugin, but we can create the perception of a faster loading time. You can speed this up even more by progressively rendering the JPEG. It is rendered not from top to bottom, but from low quality to full quality, so the user can discern the image even faster. The type of rendering to use is strictly a matter of preference. The CSS-only approach makes this lightbox extremely flexible. You can specify sizes in relative units such as ems, resize popups in media queries, and update popup content dynamically without having to worry about how it will be resized and centered. Try to avoid, or at least reduce, the number of resizing properties in a window’s resize event, because it will look much slower than resizing with just pure CSS. Vertically centering an element with unknown dimensions is probably the most horrifying topic in CSS layout. The main goal for me was to prevent the size of the content area from dynamically updating the contents of the lightbox, and to make it work in IE 8 and above. The size of the block is unknown and could be changed at any time. Block should be centered both horizontally and vertically. If the height of the popup is bigger than the viewport, then the scrollbar should appear, and the popup should automatically align to the top. The one reliable technique to vertically center an element of unknown height that I’ve found uses a helper inline-block element with a setting of vertical-align: middle and height: 100%. Chris Coyier has written a superb article covering this technique. It works perfectly and meets all three requirements. It should fit the area both horizontally and vertically. Its maximum height should equal the height of the original image. The caption should be positioned directly below the image, and the text may flow up to two lines. Implementing this just for an image and with support for IE 8 and above is not hard. The problem comes when you try to position elements near to the image (such as a caption or related icon). Just add 60 pixels to the height of the window. This solution doesn’t work with iOS 6’s full-screen mode, and it’s not future-friendly. Use window.innerHeight instead of document.documentElement.clientHeight, which returns the correct value, but only when the window is not zoomed in. // window.innerHeight returns height of the visible area. // We multiply it by zoom and get our real height. If you know of a better way to position elements than what’s suggested here, we’d be hugely grateful to hear! Preloading images in a gallery is essential and vastly increases browsing speed. The average modern browser accepts about six connections per host name, whereas IE 7 accepts only two. After the lightbox gallery is opened, it should start loading not one, but a group of images (the number of items in a group should depend on the size of the images and on how likely your visitor will navigate to the next one — test it!). Don’t even think about waiting to load the next image until after the current one has completely loaded; otherwise, it will reduce browsing speed significantly. 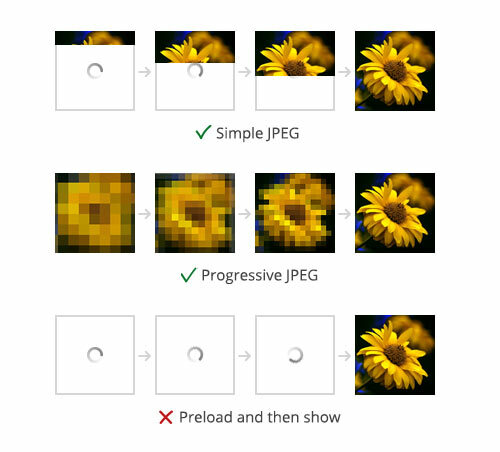 In Magnific Popup, you can set the number of images to preload before and after the current one, and these two values will automatically switch according to the direction in which the user is navigating. 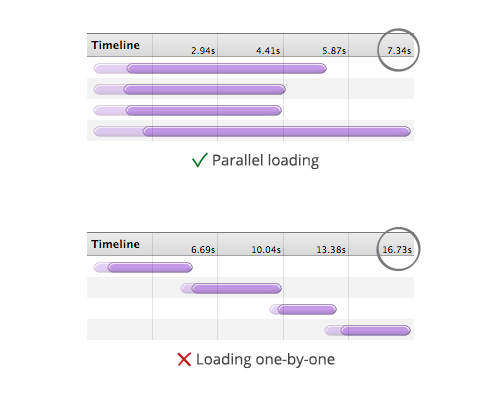 Inaccurate comparison between parallel and one-by-one loading. Magnific Popup’s default controls are made with pure CSS, without any external resources. Thus, the controls are not only light, but also ready for high-DPI (i.e. Retina) displays. But in this section of the article I’d like to talk about serving images for displays with high pixel density. There is a very common assumption that the image optimized for Retina display weighs two times or more than the normal one, but it’s not always true. As the image will be scaled down, JPEG quality can be reduced without any notable visual difference. From my experience, saving an image for 2x pixel ratio with 25% JPEG quality produces a good-looking result and the file size is only about 1.4x times larger than the regular one. Daan Jobsis has a great article that covers this technique. What image to serve on what screen size is a topic for another article. I just want to emphasize that for many users mobile is the only way to access the internet. If you serve smaller images for mobile and there is a chance that user will need full-sized ones — provide an alternative way to get it. Create all controls with CSS only (as Magnific Popup does by default). Include the control graphics in the main CSS sprite of your website, or preload them with CSS before the popup has opened. Use the Data URI scheme to embed base64-encoded images directly in the CSS (supported by IE 8 and above). Content that has opened in the lightbox should be easily zoomable and scrollable, no matter what the device. The contents and controls of the popup should be accessible with the tab key for keyboard users. Open maps and videos as a separate page. Many mobile browsers will recognize such links and open a dedicated app that is much easier to use. Simply open images in a new page for easier zooming and panning. Users should be able to select and copy an image that is opened in a popup. This is one of the few ways to bookmark, save or share it. Presently, fully overlaying a lightbox image with left and right navigation arrows is very common. The screenshots below show context menus above the image (the one on the right is overlaid with a transparent div, making any kind of interaction with the image virtually impossible). Zooming a fixed-positioned element looks unnatural and confusing in the majority of mobile browsers. I suggest avoiding this property entirely on devices on which content is likely to be zoomed. Once the user has reached the end of the scroll, the main window starts scrolling behind the popup. Scrolling momentum is missing. On iOS 5+, this issue can be fixed with -webkit-overflow-scrolling: touch, but what about other devices? Magnific Popup automatically disables these properties on mobile devices. Instead of using a fixed positon, it adds a huge dark overlay to the whole page that equals the height of the document and that positions the content area using position: absolute and with a top that equals the scrollTop of the window. Roger Johansson’s great article “Lightboxes and Keyboard Accessibility” discusses this topic and the overall keyboard accessibility of lightboxes. The main problem with the swipe gesture on touch devices is that it requires blocking the default behavior of the touchmove event (e.preventDefault()), which blocks the zooming and panning gesture. 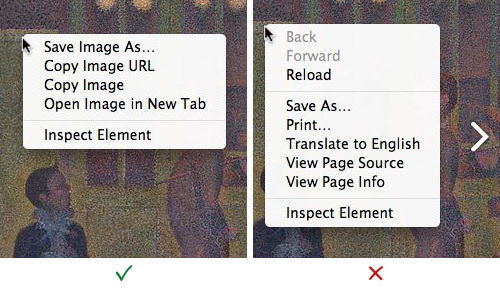 Don’t inhibit the default behavior of browser zooming when two touch pointers are detected. But finding the difference between panning and swiping is very hard because detection of the browser’s zoom level is unreliable. By design, the main purpose of a lightbox is to show enlarged versions of images. So, we would conclude that natural zooming is much more important than swiping. That is why Magnific Popup does not have swiping support. Navigation between gallery items is implemented simply by tapping on arrows with a large hit area. If you don’t need a dragging effect, use something like the TouchSwipe plugin. If you need touch navigation with a dragging effect, open in the popup some slideshow plugin with touch support, such as FlexSlider or (mine) RoyalSlider. Use a conditional lightbox technique and create a separate mobile-friendly page that has just a list of stacked images. If we disable the swiping gesture, we should at least make tap navigation faster. Mobile browsers wait about 300 milliseconds before firing a click event in case they detect a double-tap event. This can be fixed with the popular “fast click” technique, which fires a click on touchend. Ryan Fioravanti of Google has a complete guide on it. Some devices allow multiple types of input at once (such as touching and mousing). We conclude that we cannot require mouseovers (:hover) for important UI elements, and we cannot neglect mouse events if touch support is present. Apple’s “Human Interface Guidelines” for iOS state that a comfortable size for a tappable UI element is at least 44 × 44 pixels. Assuming that any device with any screen size may have touch support, we’ll apply as large a hit area as possible by default. A button can have a title attribute, which we can use to describe what the button does and its keyboard shortcut. Buttons are the most semantically correct approach for such controls. I recommend reading Nicholas Zakas’ article “You Can’t Create a Button,” which offers a few more arguments in favor of using <button> elements. The closing icon is just a math multiplication sign (×) rendered in Arial. I strongly recommend avoiding specifying multiple fonts (like font-family: ‘Helvetica Neue’, Helvetica, Arial, sans-serif) because the position and size of the multiplication sign is very inconsistent across fonts. The multiplication sign in different fonts: Arial, Georgia, Lucida Grande, Helvetica, Helvetica Neue, Roboto. The main requirement for default arrow icons is that they should be visible on any background. At first glance, the best option is to use Unicode triangles with shadow, but it turns out that there are no equally sized left and right triangles. Because of pseudo-elements, such an implementation will not work in IE 7. Navigation buttons are an important part of the UI, so I decided to write a small polyfill to make it work in IE 7, too. We just add two elements inside the button and apply the same styles as the :before and :after elements. I am a big fan of custom cursors; they are a lovely addition to an interface. The zoom-in and zoom-out cursors make very clear that content may be enlarged or reduced, while the progress cursor is an excellent loading indicator of AJAX-based popups. Sadly, zoom cursors are still not supported by IE 10. The main rule of in and out animation for a lightbox is make sure you need it. If you do, at least keep it short (shorter than 300 milliseconds). Avoid animation if you anticipate a large image or a huge block of HTML in a lightbox. One more important point: As I said before, Magnific Popup automatically disables position: fixed on mobile devices and creates a tall dark overlay on the page. Animating such a block might cause mobile devices to lag, so I suggest forcing position: fixed for the background and keeping position: absolute for the content itself. And here’s a pro tip: To make your sliding animation a little smoother, Paul Irish suggests animating the translateY property, instead of top or margin-top. A responsive lightbox is not one that scales down proportionally when the screen’s size changes. It’s the one that provides fully accessible content, whatever the device. Escape key to close the popup. Left and right arrow keys to navigate the gallery. Tab key to navigate the contents of the popup. If there is a single image, the lightbox should close when any part of the image is clicked. If it is a gallery, clicking on the current image should advance to the next image. Check out the discussion on UX Stack Exchange for more information. A gallery should be clearly indicated: “1 of 10” counters, arrows, bullets, thumbnails, or any combination of these. I hope this article and script will be useful to some. For more techniques, dig into the code of Magnific Popup in the GitHub repository.